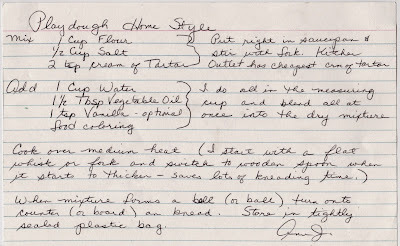 I mentioned Ann's great play dough recipe on Facebook today, and several people asked for it. Here Everett is playing with the pink I made yesterday and the blue I made today. Slowly turning purple. Image above should enlarge if you click on it. 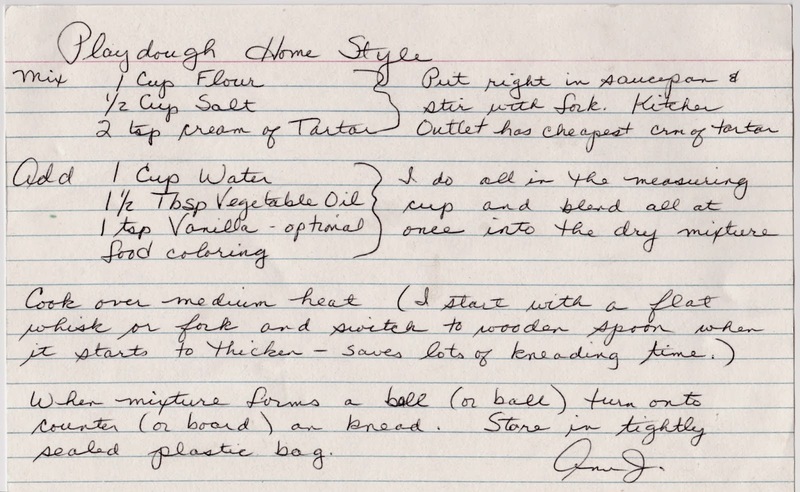 The best thing about this recipe is her notes, tips for making the process quicker and easier (with fewer dishes).